The Tastemaker party continues, as we set up shop this August in one of America's most iconic and innovative culinary hotspots. We'll be bringing an equally awesome line-up of the city's best chefs together for two days of unique collaborations, amazing food & drink, and general good vibes. At the heart of Tastemaker Chicago is our amazing open kitchen, which will house our 8 unique collaborations. Taste never before seen dishes and talk to your culinary heroes, as the very best in the business serve up their creations to you in person. 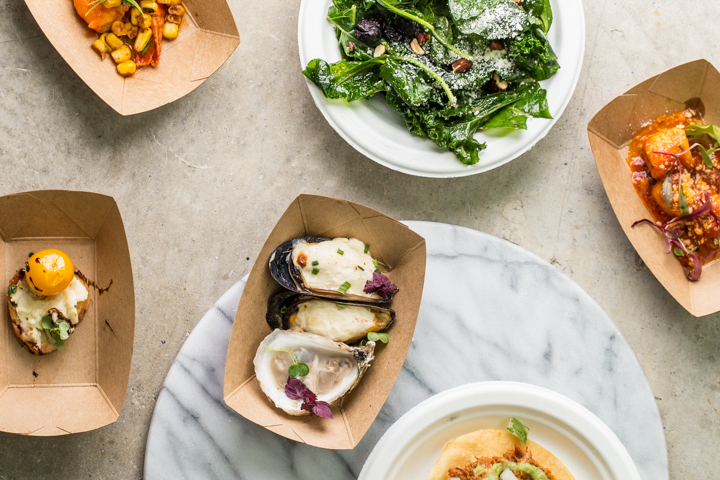 As if awesome chef collaborations wasn't enough, your ticket to Tastemaker Chicago also includes food & drink from over 40 restaurants, wineries, breweries and artisan producers. The real challenge is saving enough room for them all. The Tastemaker experience is simple - buy your ticket, put away your wallet, and enjoy all the amazing food & drink on offer at Revel Space. Tickets are on sale now, but are very limited, so don't wait if you want taste the best Chicago has to offer. Revel Space at Fulton Market is our beautiful new open concept home. A chic yet industrial art space located in the nightlife hub that is Fulton Market, Revel Space will be transformed into a bustling food hall at Tastemaker. Subscribe now, and be the first to hear!